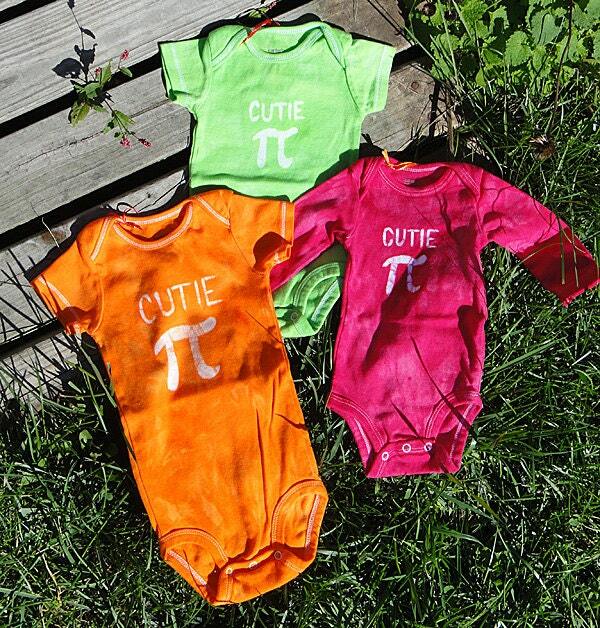 Be ready for Pi Day -- March 14! 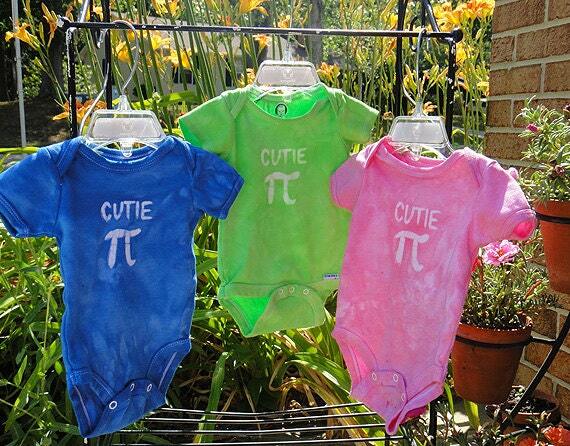 (Get it? 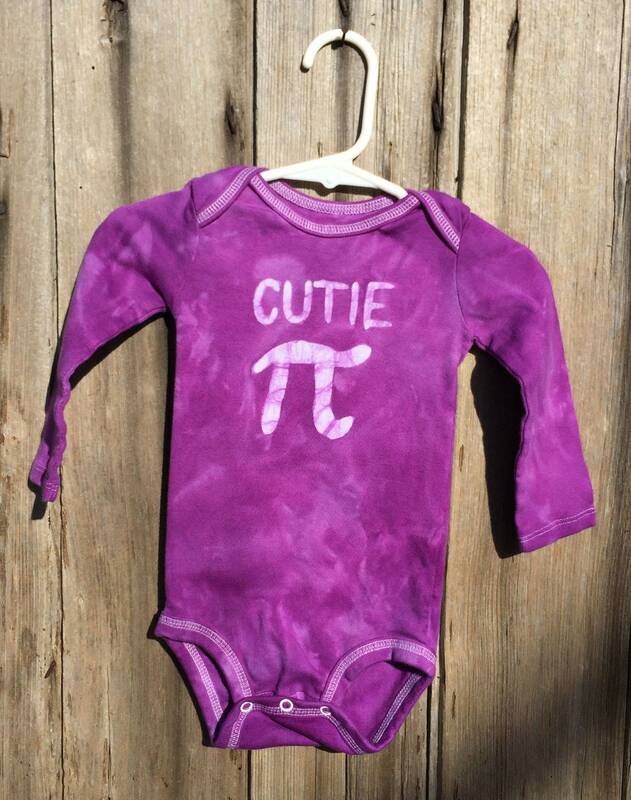 3.14 ...) I've drawn my popular Cutie Pi onto the chest of a 12 months Simple Joys by Carter's brand long-sleeve bodysuit before dyeing it bold grape purple. 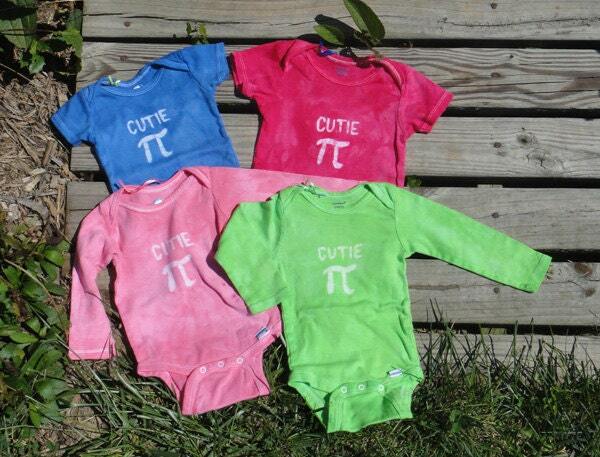 Perfect for little kids whose mom or dad is a scientist, mathematician, or engineer! 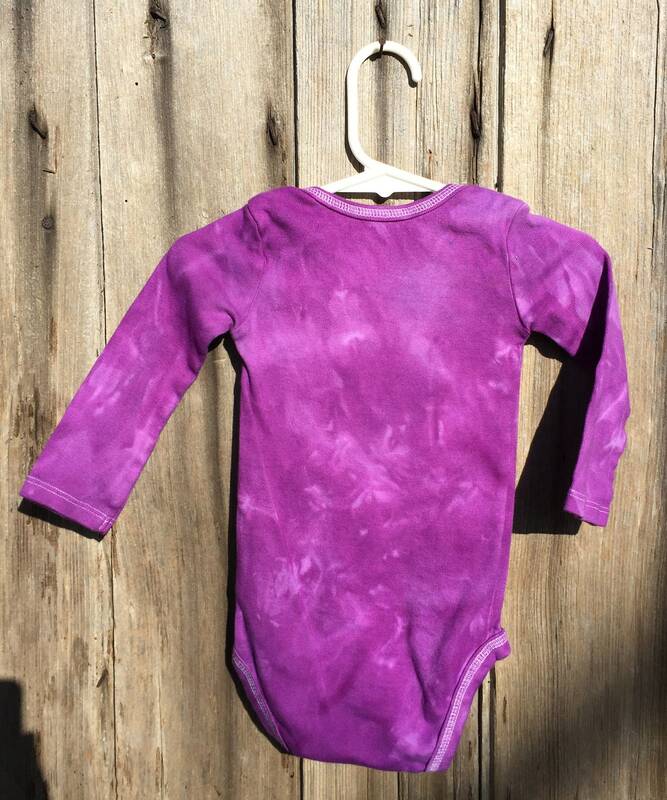 Makes a fun and unique baby shower gift.